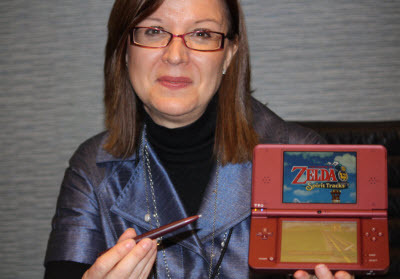 Cammie Dunaway is (or soon to be was) the executive vice president of sales and marketing for Nintendo of America. She is best known publicly for her speeches at E3 (that often times many people disliked), and she is mostly known around this site for her talking about how Skyward Sword is for the Zelda fan. She is one of the higher ups at Nintendo of America, and is reportedly leaving the company on October 1st. While I have never been the biggest fan of Cammie as a public speaker, I can’t deny that she has done a great job with marketing Nintendo products over the last 3 years. Sales show that success. She was good at what she did and she held what I assume is a pretty prestiges, and well paying, position in one of the biggest companies in the world. I think of any questions I have about this, it’s why leave Nintendo now? I am also really curious what this new job is, as I am sure it played a huge part in her decision. Also, was she actively applying for new jobs, or did they contact and ask her? All questions I would love to see answered some day, because as always it is very interesting finding out how things work inside the Big N.